It’s no secret that inventory is low in San Francisco right now. One reason is that people who would like to downsize (and sell that mansion) after their children go off to school are hesitant to do so. I summarize an article here (cited below) to make people aware of a once in a lifetime tax benefit that could help them downsize. In California, Proposition 13 limited their annual property taxes to 1% of the sales price of their property, plus local taxes, when they purchased many years ago. The taxable value increased generally only up to 2% per year. Because of this, those who have been in their homes a long time pay substantially less in taxes than new purchasers. However, when they sell their homes and buy a new home, unless they are over 55 or disabled, they will likely have to pay much higher property taxes. Under Proposition 60, if you are over 55 or permanently disabled and you sell your primary residence and downsize into a property in your same county, you get a tax advantage. If the property you buy is the same value or less than the property that you are selling, you get to take the assessed value of the property you are selling with you to the new property. This is a big advantage and can only be used once. Proposition 90 allows you to sell and then buy in another county and take advantage of this same benefit of keeping the assessed value but there are only 11 counties that permit this now. They are: Alameda, El Dorado, Los Angeles, Orange, Riverside, San Diego, San Mateo, Santa Clara, Ventura, Tuolumne and San Bernardino. For example, if you have a home in San Francisco that you want to sell and move to Marin to take this tax benefit, you are out of luck (at least for now) since Marin is not one of the counties that allows people buying into the county to keep their assessed value. If you are deciding to sell and move to another county, check that county’s laws to see if there has been a change – including or excluding you from Proposition 90 benefits. “There is a little wiggle room on the price of the new property: seniors who sell their home before buying a replacement can spend up to 5 percent more on the new home if they buy it within a year, or up to 10 percent more if they buy within two years. But if they buy first and sell later, they cannot spend even $1 more on the new home.” http://tinyurl.com/kdtans4 Always consult with a tax professional before making that new purchase to ensure you know all of the latest tax advantages for your purchase. Here is a handy question and answer guide on this benefit. If you are an empty nester and looking to downsize and are ready to sell your home in SF, please don’t hesitate to give me a call. Previous: What They Experienced at the Total Eclipse! 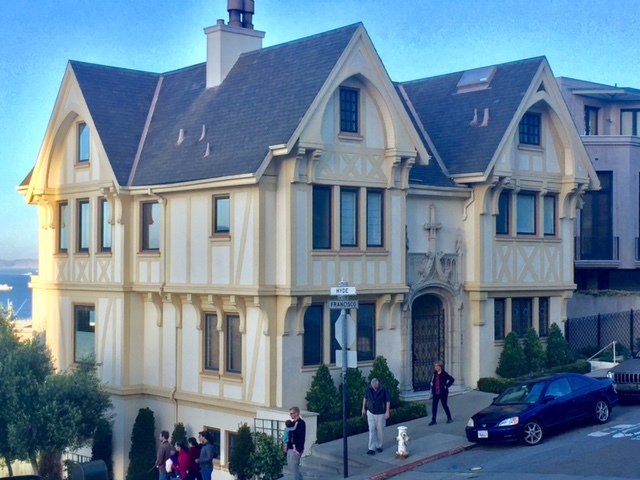 Next: The Latest on Sales in Posh Pacific Heights – 2017 Update!